IL Youth! Thanksgiving is next week and our team realizes the holiday season may not be the most exciting time of year for you! Our new youth consultant, Stephanie Keahey has put together a care package for IL youth to survive the holidays from her own thoughts and experiences! 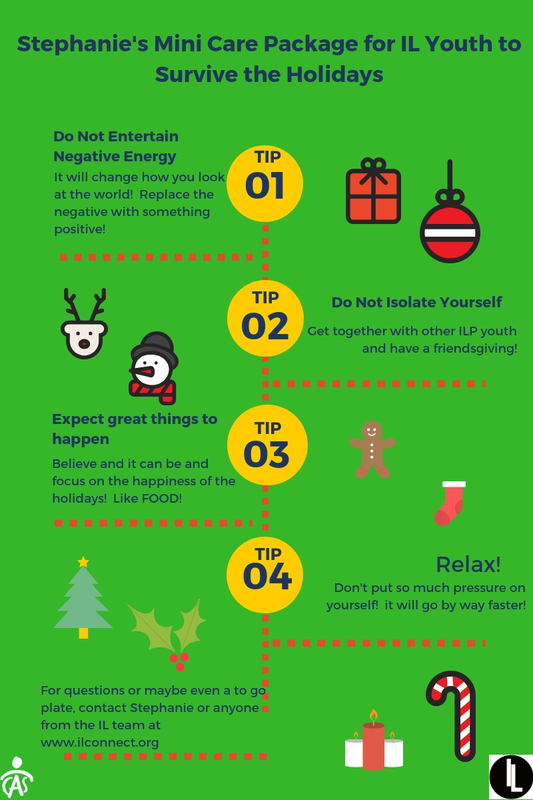 We hope you will take her advice and use these tips to help you work through the holiday season and maybe even give yourself a chance to enjoy it! Happy Holidays from the Children's Aid Society IL Team!